All parents expecting to give birth want nothing more than their child to be brought into this world happy and healthy. The timing is something we can’t truly anticipate; your baby is going to come when they are good and ready. But what if your baby decides to come at New Year’s? We’ve all seen it, the New Year’s Baby is put on camera and photographed and then the parents are interviewed about “how did you plan it?” The planning could simply be the luck of the draw, or maybe a shot in the dark. But what is the whole “thing” about Baby New Year? The Lake Placid News might have an answer befitting myths and legends of days long past. They believe, “Father Time and Baby New Year are images commonly seen this time of year. Father Time, depicted as an old, robed man carrying an hourglass or similar time keeping device, stands near a young baby or toddler, typically a blond, diapered boy sporting a sash with the upcoming year printed on the sash. Out with the old, in with the new. Modern depictions are generally jolly with a kindly looking gentleman and a cherubic baby.” In ancient Greece (600 BCE), it was widely popular to celebrate the god Dionysus by carrying a baby around in a basket to honor the spirit of fertility. The early Egyptians used the New Year’s baby as a notion of rebirth or starting anew. Early Christians however, saw this act, as an act of paganism, and later renounced the old ways to indicate that the New Year Baby was in fact boy, and the boy was shown as the baby Christ. Yet in America it was the German’s who introduced the New Years baby with a banner draped across its body dating back to the 14th century. Despite the inability to completely control the day of baby’s birth, the holiday season brings an influx in the hospitals with a slow growing buzz in the maternity ward. In the past, many hospitals developed media contacts throughout the prior year, establishing their favorites, and brainstorming ideas for celebrating the New Year’s baby. When New Year’s Eve arrived, a media contact would be present throughout the night, ready to deliver the news to the mainstream media. If a Baby New Year was born, the birth announcement went to the media contact and then off to the mainstream. Once the announcement was confirmed, the news outlets were permitted to see the family in the afternoon on New Year’s Day. It is also true that, for any first birth of the New Year, prizes such as new car seats, strollers, bottles and new baby paraphernalia tend to draw hopefuls. 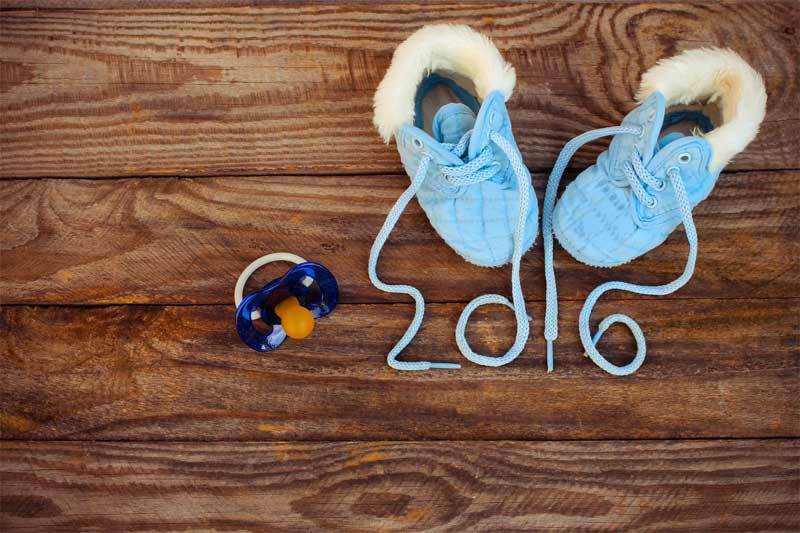 Baby New Year is always a fun and exciting time, but in recent years hospitals around the world have gone almost completely silent. Not from a desire to squelch the traditions, but more so of a keeping the family’s identity and safety at hand. USA Today reported last year one of the biggest health care operations in the US ordered all of its 207 facilities to stop publicizing the Baby New Year, stating the potential for abductions and identity theft. The tradition of old can still be celebrated, just not as public as it once was. If you have something of a shot at having a new years baby, keep those fingers crossed and breath, just breathe, but as you’re inhaling keep in mind, the celebration of Baby New Year is an extra celebration of extreme happiness, but if you’re hoping for the Hollywood New Year’s Baby publicity you may want to brace yourself because it might not be as publicized as it once was.